Having made my way to Leticia, Colombia—on the border with Brazil and Peru and the country’s only link to the Amazon river—I was on a mission to visit aquarium fish collectors and buyers in the area. The region is one of several hubs within Colombia for the collection of aquarium fish, and many of the most popular Amazon species which are shipped out of Bogota are collected here. After a great day fishing with a local guide (detailed in an earlier post), it was time to try to make contact with some of the local people involved in these fishes’ collection and trade—which is often much easier said than done. In fact, simply locating and getting in touch with the people on the far end of the supply chain can be an adventure in and of itself. 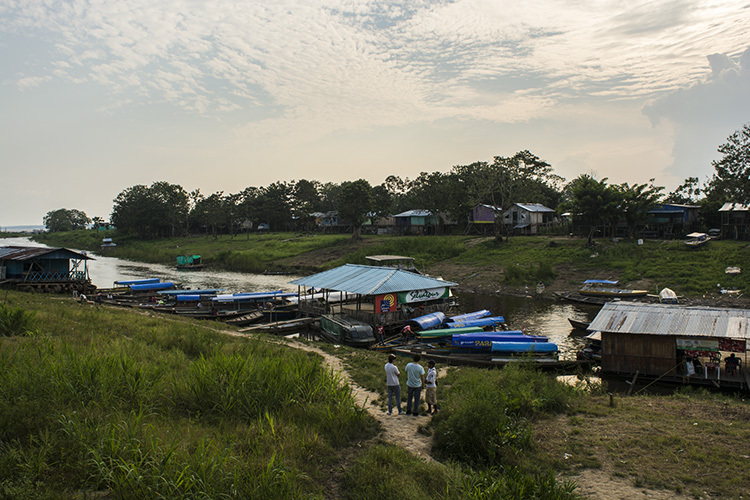 I had arranged to visit las balsas near the center of town—a row of floating wooden houses, shops, and boat garages clustered along a stretch of river between the Amazon and a small island close to town. I had heard that there were a few fishermen and revenedores (resellers) based among the balsas. Not having a clue which among the dozens of structures—all in varying states of disrepair—might hold aquarium fish, my guide and I walked across a rickety wooden footbridge and began asking people if they knew where the fish might be. After some persistence, I got a somewhat clear description of where to go next. Unfortunately, this involved walking over yet another bridge and crossing Isla de Fantasias on foot in the scorching afternoon sun. After reaching the opposite side of the island, my hopes faded as the balsa we were trying to reach not only appeared abandoned, but was unreachable by land. 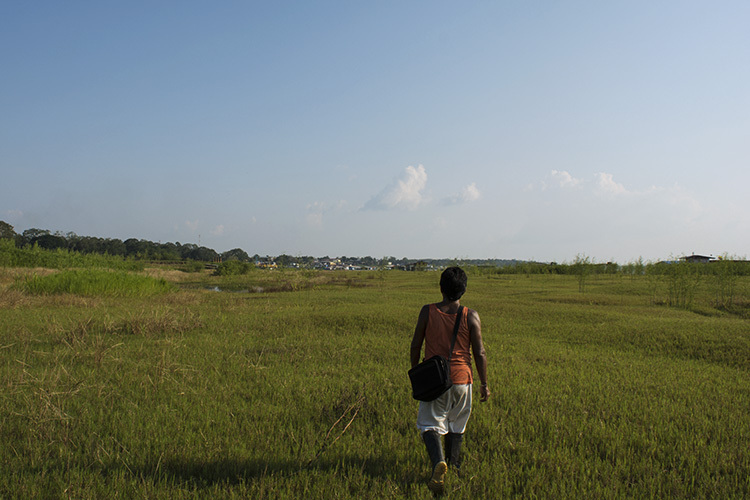 Getting frustrated now, we walked back across the grassy island and back across to Leticia, where after some more conversation with locals we were able to get the location of another balsa which sold tropical fish. 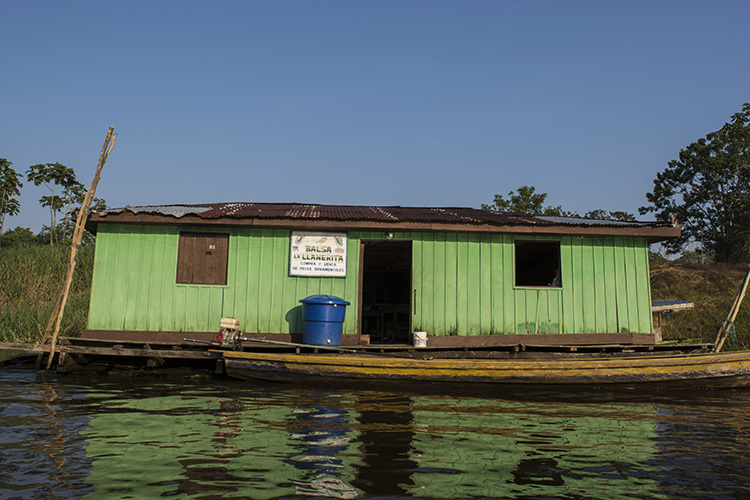 We hired a boat for the short trip towards the main channel of the Amazon and headed towards the small floating structure, where I could just make out the words ‘peces tropicales’ (tropical fish) on a handpainted wooden sign. Success! After pulling up to the balsa and talking to the locals manning the facility—clearly a bit surprised to see a gringo in this setting—I was able to confirm that they did, in fact collect, buy, and then resell aquarium fish to the exporters in Bogota. I was to be disappointed again, however, to learn that they didn’t have a single fish on hand at the moment, having just shipped out everything they had to Bogota earlier that morning. Despite that setback, I was able to talk briefly with them about the fishery, what fish they traded in, and how many fishers they work with. They were also kind enough to point me in the direction of another fish trader who had a facility in town—and the last part of the day was spent driving around trying to locate this man. In one of the stranger experiences of my trip so far, I ended up at his house, knocking on the door unannounced and doing my best to explain what, exactly I was doing there. Fortunately, all was tranquilo, and we were able to arrange a visit to his facility the following afternoon. 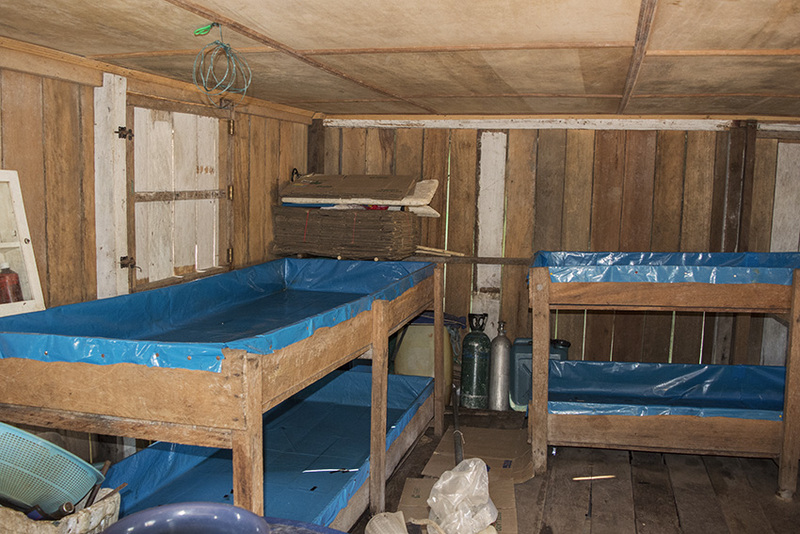 The next day, we awoke at dawn to visit a few spots in and around the Amazon proper where aquarium fish are collected. The first stop, Isla de Ronda, is a small island situated at the confluence of a blackwater stream. 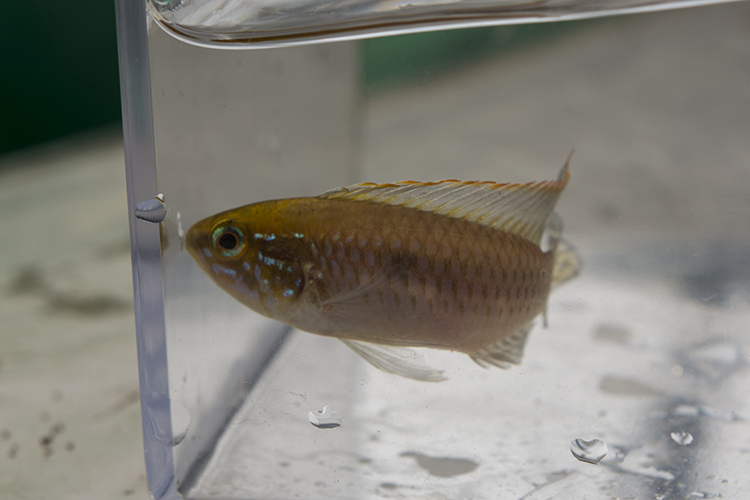 Here, during the low water season, fishers collect the Emerald-green “Cory” (Brochis splendens), a few spotted Corydoras species, and a variety of Apistogramma. We fished in several shallow spots, but the catch was somewhat limited as the water levels were a bit too high for good collecting. 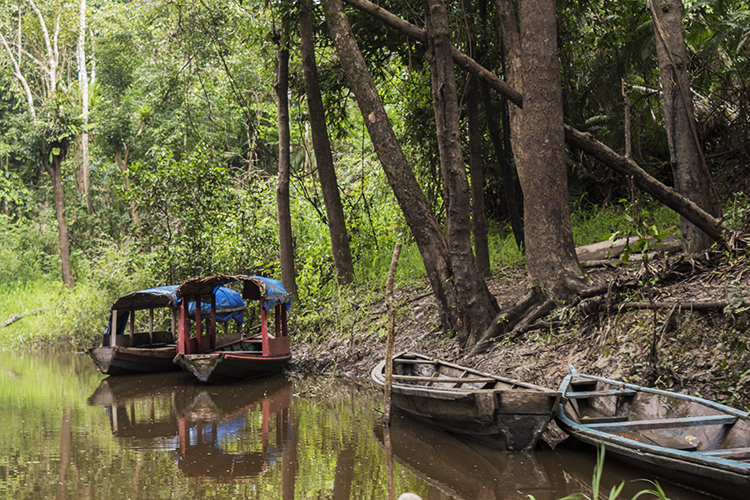 The second area we visited was a bit further upstream from the city of Leticia and is called Pichuna by the locals. 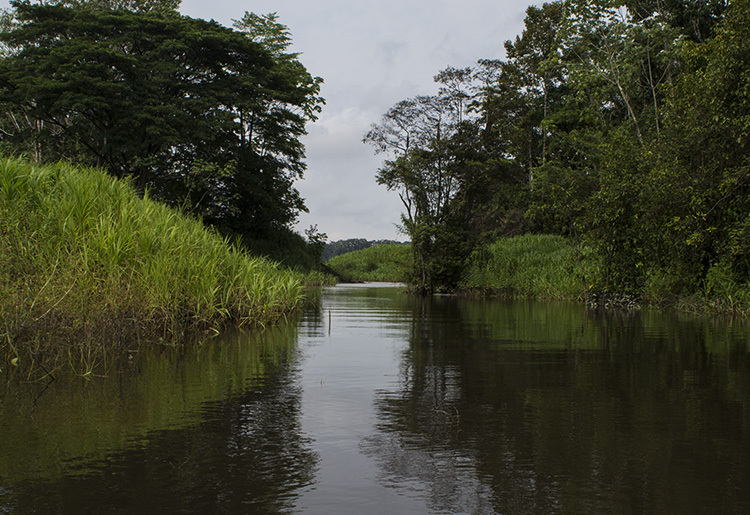 This is a white-water, winding tributary with plenty of ‘flooded forest’ habitat throughout. 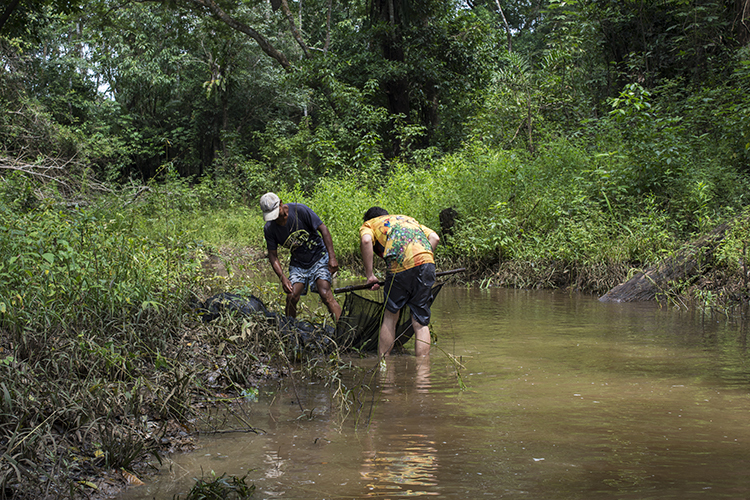 Here, fishers collect one of the most important species in Leticia’s ornamental fishery—Otocinclus catfish, as well as Glass Knifefish (Eigenmannia virescens), Black Ghost Knifefish (Apteronotus albifrons), wild Angelfish (Pterophyllum scalare), and occasionally Silver Arowana. 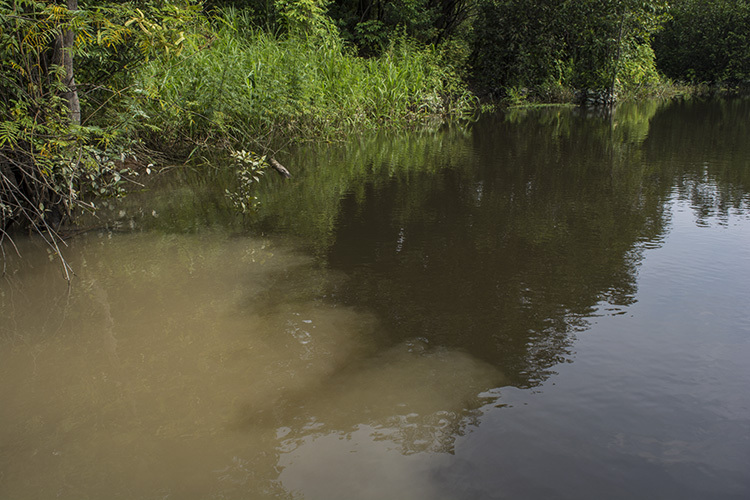 With only a limited time in Leticia, we would not be able to venture too far upstream to some of the better collecting spots, but it was clear this forested stream was teeming with fish. We also attempted to meet a local aquarium fisher who lived and worked in Pichuna, but were told by his family that he, like most other fishers, had gone out on a weeklong trip up the nearby Rio Javari in search of baby arowana, a particularly lucrative catch when in season. As with Ronda, we spent some time fishing the shallows of Pichuna, once again with limited success. 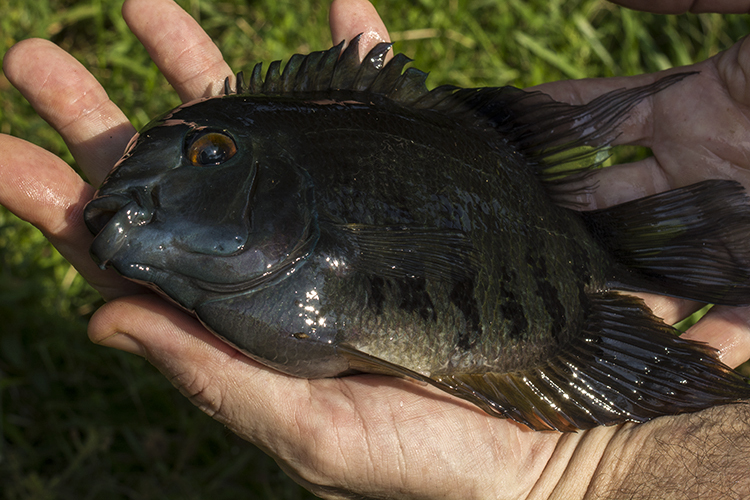 The most interesting catch was a group of Prochilodus (Semaprochilodus affinis), a few baby Oscars (Astronotus occellatus), and a nice adult green Severum (Heros sp.). 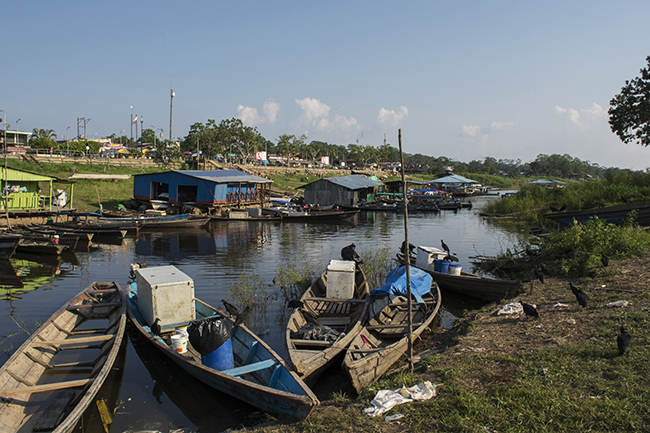 The next day, our last in Leticia, would be spent fishing out on the Amazon proper and then visiting the holding facility of the fish supplier we had met with earlier. While any day spent out on a boat collecting fish in the Amazon basin can certainly be counted as a good day by almost any standards, I was cautiously optimistic that the final day would prove the most successful yet in terms of species encountered and knowledge gained about Leticia’s aquarium fishery. What specific species of otocinclus were you finding? Great post!